Transitions are a constant part of life, there is no time when we are not in transition. But, some transitions are more significant than others. During major transitions people feel out of balance, ineffective and lost. After spending your adult life working, you are now ready for retirement. But what do you do next? People facing retirement are often very concerned about the next phase of life. People express concern about “what I am going to do to keep busy”. They fear that if they slow down, they will die. People often make their identity, value and worth directly related to their job and what they do. After retirement they must find a new definition of their identity, value and worth, or else they may become miserable, lonely and depressed. Retirement also affects relationships. Family roles must change to accommodate the retiring person’s new roles and lifestyle. The spouse who has spent those years managing the household activities, is not used to having their partner around all day. Friends are still working, and retirees may feel alone during the day. Coaching helps you rediscover yourself, your soul, and your passion. In retirement, you create a new life for yourself that is rewarding and fulfilling. 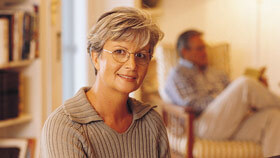 Planning for retirement entails several aspects. There is the financial plan  “How can I financially support myself when I stop earning a paycheck?” as well as the the activity plan  “What will I do to fill my days?” Working with a coach helps you prepare an effective plan for this important phase of life.